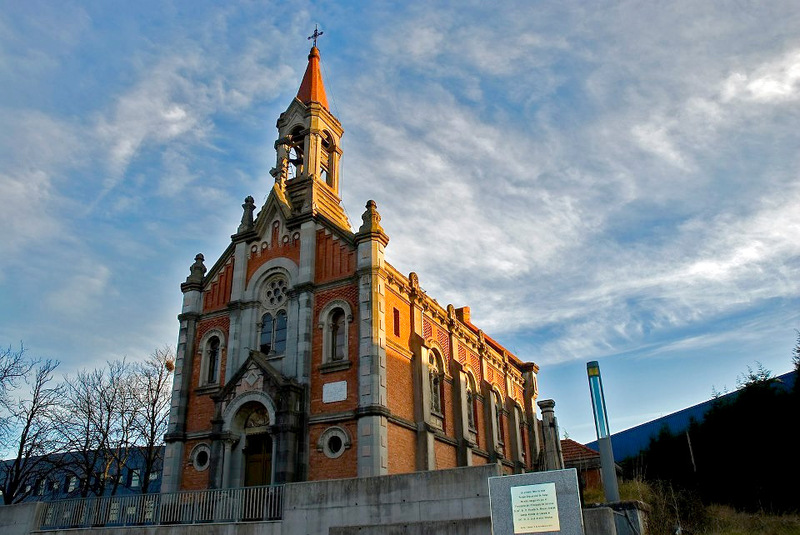 The church of Santa Barbara in Llanera, Spain was designed by a Spanish architect Manuel del Busto in 1912. 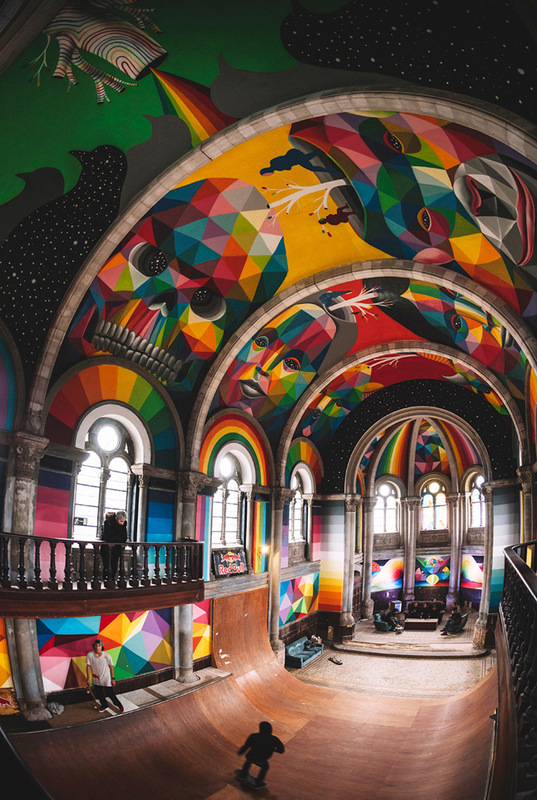 However, it became abandoned and eventually started to crumble. 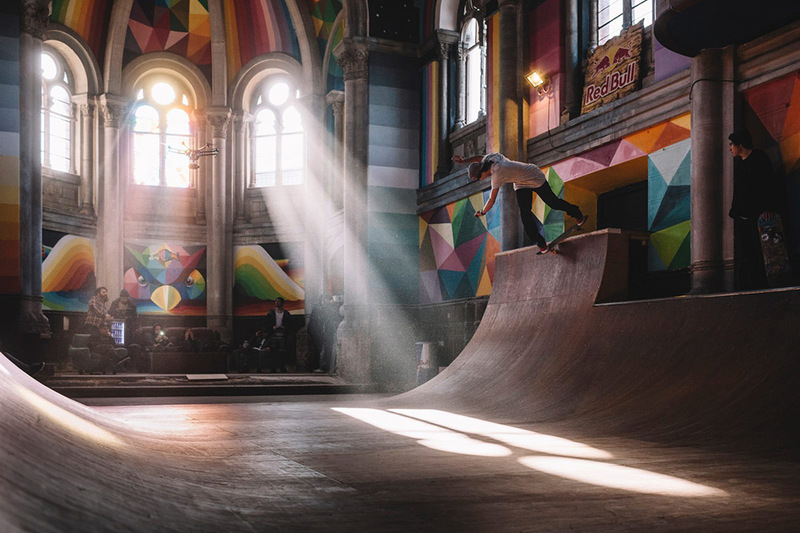 Fortunately, a group of aspiring individuals from La Iglesia Skate managed to save it and transformed into a public skate park. 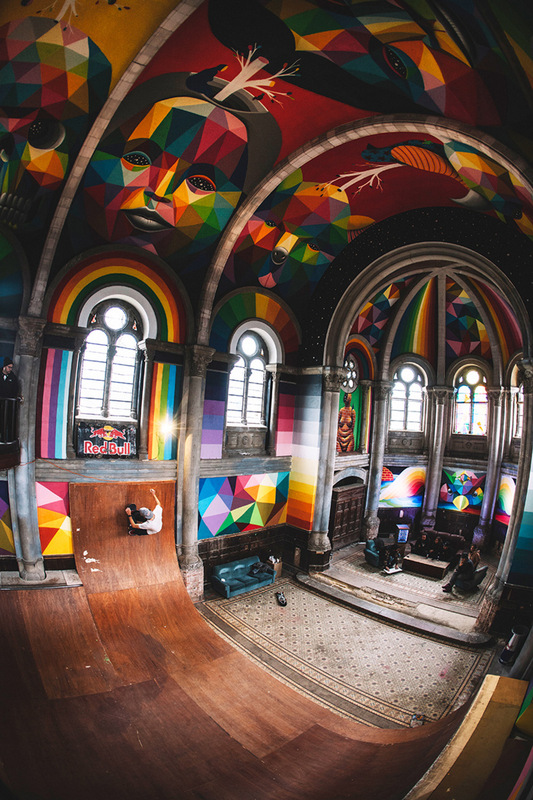 So, the church of Santa Barbara turned into the Kaos temple and became a favorite destination for athletes. 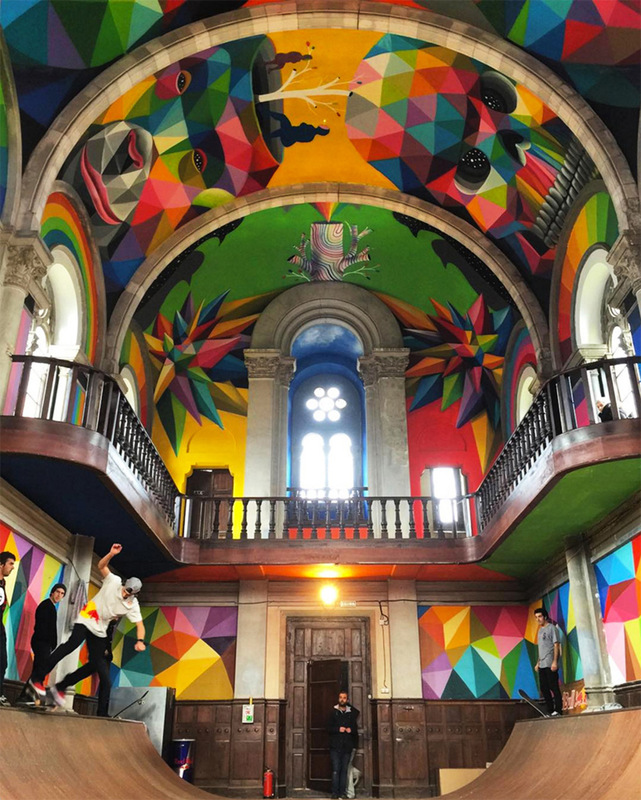 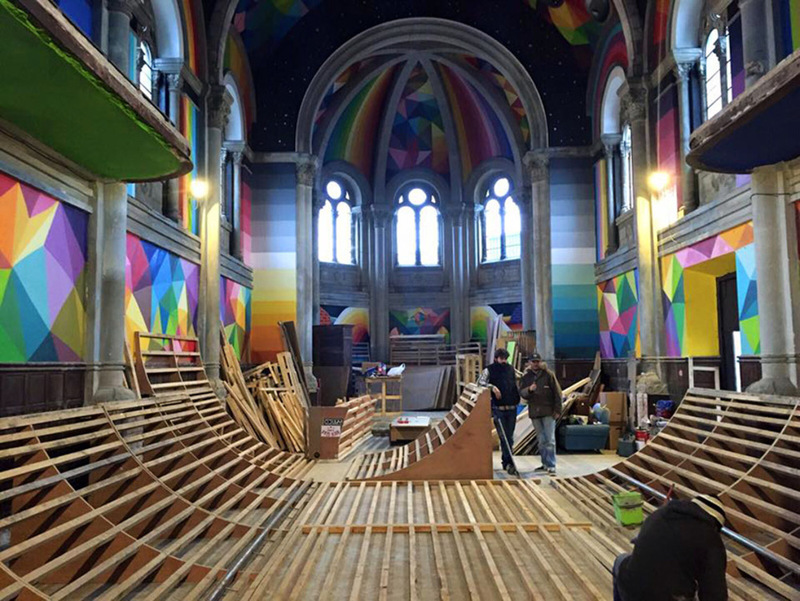 The street artist Okuda San Miguel turned the walls and domed ceilings of the church into a bright, isometric, paintings. 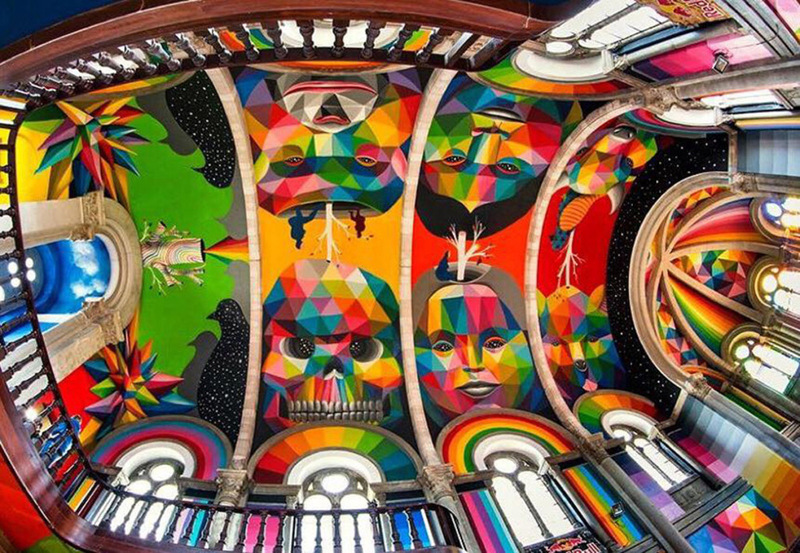 Vibrant murals surround the space, while wrapping the interior in a mesmerizing artwork. 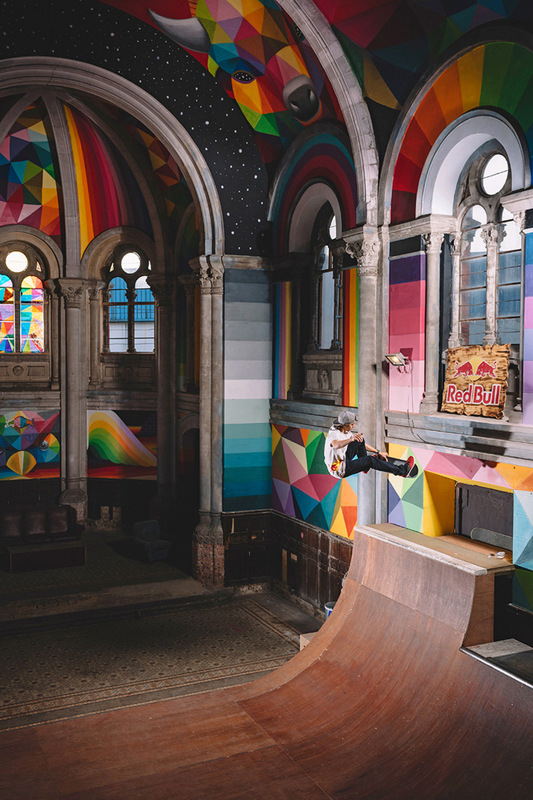 Kaos temple forms a sanctuary for both skateboarders and art lovers alike.